In Event Espresso 4, if you manage the online event registration and/or ticketing for a category of events (e.g. volunteering opportunities or an on-going writing workshop) you can configure ONE event page and let the multiple datetime and multiple ticket names specify the different dates and ticket options. Here is an example of this strategy with all the upcoming volunteering opportunities for a non-profit organization. 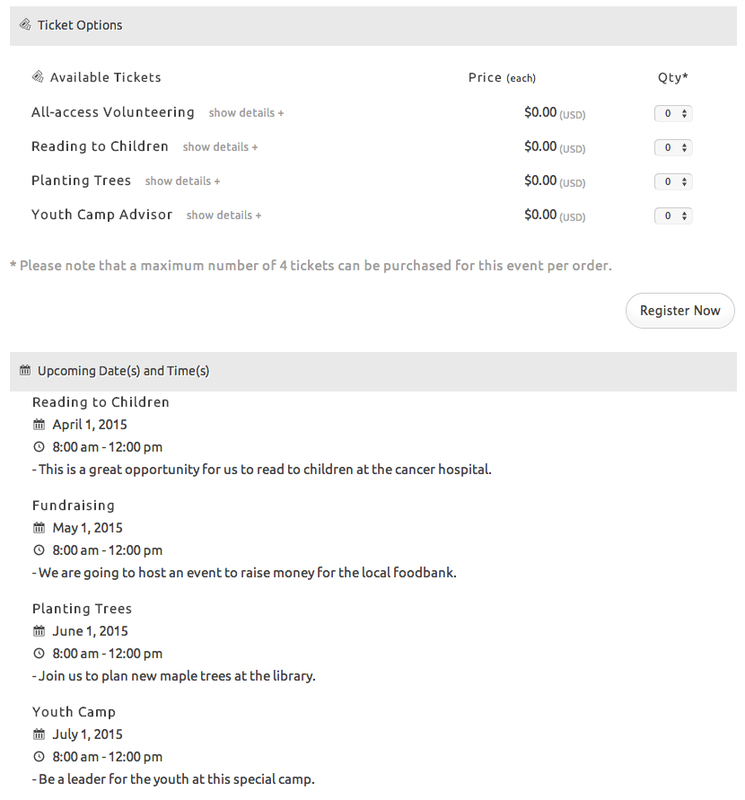 Once you have configured your event registration and ticketing for these similar types of events, your potential customers/attendees/volunteers will be presented with all the volunteering opportunities on ONE page. This is what the front-end would look like (click to enlarge). 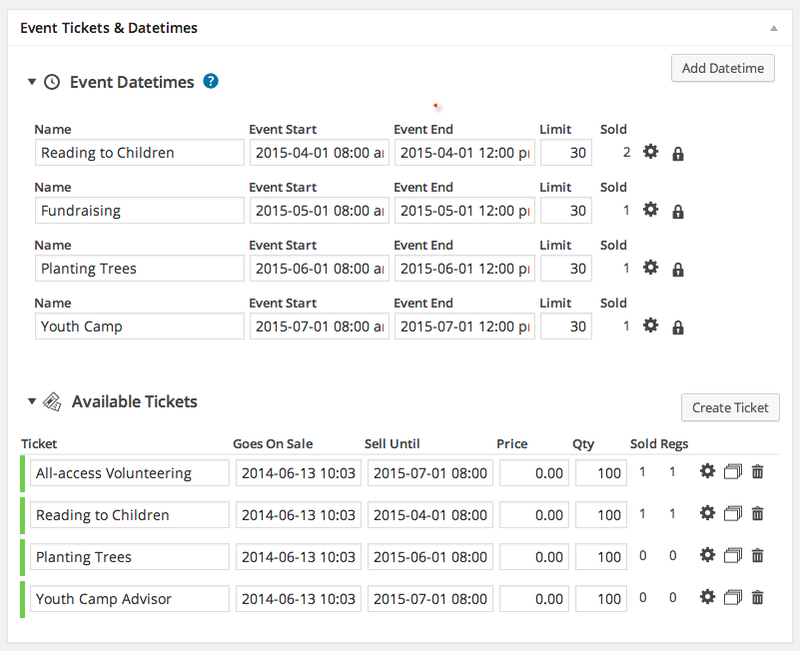 Notice that by configuring the same (or similar) events onto one page, that your attendees can see every option. They can register for one event, or even register for all these events at one time. Note: You might host an on-going class, workshop or conference but these principles can work the same for your types of events too.